Few know that the legendary Film Moghul, LV Prasad, also acted in the first ever talkies in Hindi, Tamil and Telugu! He was born Akkineni Lakshmi Vara Prasada Rao in Elluru in South India on January 17, 1908. 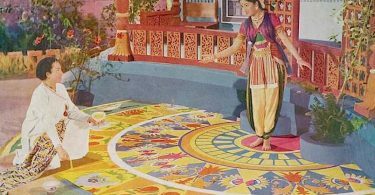 Even as a youngster, Prasad was drawn by the drums of the touring theaters and drama troupes, going on to act in several local dramas. His fascination for the moving image would see him regularly attend ‘screenings’ of old and worn out film prints shown in ramshackle tents. In 1924, Prasad married Soundarya Manoharamma, his maternal uncle’s daughter, despite objections from her family on account of his poor financial status. However by now, a firm desire had entered Prasad’s heart to be a part of the Indian film Industry and he left for Bombay in 1930 without even informing his family (by now he had a daughter) or anyone in his village with nothing but Rs 100 in his pocket. Prasad reached Mumbai without knowing how to speak Hindi or English. He had just heard of a studio, Kohinoor at Dadar. For days and hours on end, he waited outside the studio but couldn’t manage an entry. While in Bombay, his trunk was broken into at the lodge he was staying with, the thief leaving him money to return home but he still refused to return. Meanwhile, his daily sojourn outside the studio gates was noticed by a tailor who had his shop opposite Kohinoor Studio. He gave Prasad a job to clean his shop and set up his hookah. Subsequently, Prasad found a job with Venus Film Company and even did a bit role in a silent film, Star of the East, which never saw the light of day. However, at Venus he had met a Punjabi youth, Dharilal, whose sister now took him to Ardeshir Irani who at Imperial Film Company was making India’s first talkie Alam Ara (1931). Prasad played a bit role in the film. At Imperial Film Company, Prasad came into contact with HM Reddy, also from Andhra Pradesh, who had given up his job with the police and was also trying his luck in the movies. When Reddy was given the job of directing the first Telugu Talkie, he gave Prasad a bit role in the film Bhakta Prahalada (1931). Subsequently, Reddy also directed the first Tamil talkie, Kalidasa (1931), with again a small role for Prasad. Around this time, an accountant shortened his name to LV Prasad since he found his name so long! Thus he was known now as LV Prasad. The name would stick to him for life. Prasad visited his village to find out his daughter had died in his absence. He then returned to Bombay with his wife to continue his career in films. However, Imperial Film Company was now retrenching people and he was now jobless. He again went back to his village and tried raising funds to launch a Production Company but unfortunately for him, things did not take off. It was Reddy who came to his rescue again, asking him to act in the film he was making then, Grihalakshmi (1938). Prasad shifted to Madras, assisting and acting in Reddy’s films – Barristor Parvatisham (1940), Bondam Pelli (1940), Chanduvukonna Bharya (1940) and Tenali Ramakrishna (1941) to name some. However, when the Japanese bombed Madras, he had to shift again as Reddy left for Pune. He was given the job of Production Supervisor and Assistant Director in a film, Kashta Jeevi, which took him to Bombay again. Sadly though for Prasad, the film was shelved. In Bombay, he then joined Prithvi Theatres, run by Prithviraj Kapoor, and acted in various plays like Deewaar and Shakuntala there. Prasad finally made his directorial debut with the Telugu Feature Film Grihapravesham (1946), based on a story by well-known Telugu writer, Tripuraneni Gopichand. Prasad also acted in the film alongside P Bhanumathi, where he contrasted as a misogynist bachelor against the ‘modern’ Bhanumathi. The film, a reformist story critiquing simultaneously Westernization and the practice of arranged marriages boasted of one of Bhanumathi’s most popular songs – Amma Nee Nayanammulla and was a commercial success. Prasad’s next film, Palnati Yuddham (1947), was a film he took over when the original director, Gudavalli Ramabrahmam, died before completing it. The film, a historical foreshadowing Indian Independence, tells of warfare and rivalries within the kingdom of Palnadu. 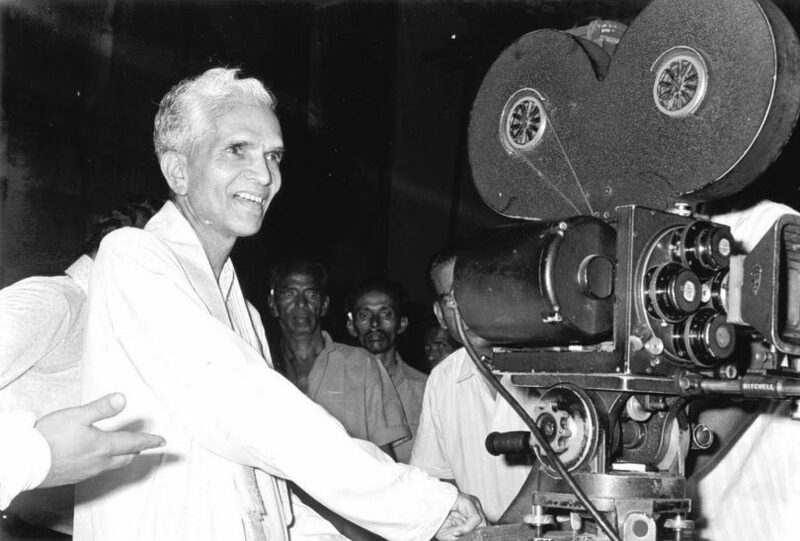 It helped establish Prasad as a popular director of merit in Telugu Cinema, following which he made a series of films in Telugu (Drohi (1948), Mana Desam (1949), Samsaram (1950), Shavukaru (1950)) before branching out to bilinguals in Telugu and Tamil with Pelli Chesi Choodu (Telugu)/Kalyanam Panni Par (Tamil) in 1952. With Pelli Chasi Choodu, Savithri broke through and became a star. But then Prasad was always a fine judge of talent. It was Prasad who introduced NT Rama Rao (NTR) as a police inspector in Mana Desam, also Ghantasala Venkateshwara Rao’s first assignment as composer, and it was Prasad who also launched Savithri in Samsaram. One of Prasad’s best known and most popular bilingual films was Missamma (Telugu)/Missiamma (Tamil) in 1955. The film was a hit comedy about a couple pretending to be married in order to get a job to run a school as the job advertises for a married couple only. The Tamil version in particular launched the Gemini Ganesan-Savithri pair, while NTR played the lead in the Telugu version opposite Savithri. One song especially popular in the Tamil version was the Ghantasala-P Susheela duet, Varaya Vennilave. Meanwhile, Prasad had purchased a plot of land where he began building his own studio. He also turned Producer with the Telugu film, Ilavelpu (1956). He then made his debut as Producer-Director in Hindi Films with Sharada (1957) starring Raj Kapoor (whom he had met at Prithvi Theatres) and Meena Kumari. The film was a remake of the Tamil film, Ethirparadathu (1954), starring Sivaji Ganesan and Padmini, which itself was remade in Telugu as Illavelpu. Sharada sees Meena Kumari give a stunning performance as Raj Kapoor’s lover who becomes his stepmother. Unfortunately coming in the same year as Mother India, Nargis swept all the Best Actress awards that year except that of the Bombay Film Journalists Association who named Meena as their Best Actress of the year for Sharada. 1957 saw another Prasad-directed Hindi film, Miss Mary, a remake of his own Missamma/Missiamma, re-uniting him with Meena Kumari while also starring Gemini Ganesan, Kishore Kumar and Jamuna. The film is one of the few light hearted roles attempted by Meena Kumari and she displays an uninhibitedness that is refreshing to say the least. – a stark contrast to the studied mannerisms and passive postures of her more familiar tragic roles. The film aided greatly by a typical madcap performance by Kishore Kumar also had a fine musical score by Hemant Kumar (O Raat ke Musafir, Gaana na Aaya, Aayi Re Ghir Ghir among others) and was remade disastrously years later with Anil Kapoor and Madhuri Dixit, Pratikaar (1991). Chhoti Bahen (1959), a family melodrama, starring Balraj Sahni and Nanda in the title role, was yet another popular film produced and directed by Prasad in Hindi. Prasad’s films were mostly a set of mid-budget soap operas, often making hits from films of other languages. Post Beti Bete (1964), starring Sunil Dutt, B Saroja Devi and Jamuna, Prasad directed only Hindi Films even as he continued to produce films in Hindi, Tamil, Telugu and even Kannada. Among the films he directed, he formed a particularly successful partnership with Jeetendra whom he directed in Jeene ki Raah (1969), Shaadi Ke Baad (1972), Bidaai (1974) and Jay Vejay (1977). His major productions in Hindi include Sasural (1961) and Humrahi (1963) both starring Rajendra Kumar, the hugely successful reincarnation tale, Milan (1967), with Sunil Dutt, Nutan and Jamuna, Khilona (1970) with Sanjeev Kumar, Jeetendra and Mumtaz, which won the Filmfare Award for Best Film and Best Actress for Mumtaz, and Ek Duje ke Liye (1981), one of the biggest hits of his career. Other important films produced by Prasad include Illalu (1965) in Telugu, Idaya Kamalam (1965) in Tamil, Mane Belagida Sose (1975) in Kannada, and Bidaai (1994) in Bengali. Prasad was persuaded by Kamal Hassan to return to facing the camera, when aged 73, for Raja Paarvai (1981). In the film, Prasad endearingly played the playful grandfather of the heroine, Madhavi, who helps her elope on a scooter with the hero, a blind musician, played by Kamal Hassan. Prasad finished the Prasad Studio by 1965 and with his second son, Ramesh, launched the Prasad Film Laboratory in 1974 which grew into India’s finest film lab. He has been the subject of a biography by KNT Sastry (1993) and is a recipient of Indian Cinema’s highest award, the Dada Saheb Phalke Award, given to him in 1983 for his contribution to Indian Cinema. He also served as Chairman of the Studio Owners Council, a wing of the Film Federation of India. LV Prasad passed away on June 22, 1994. The Indian postal department issued a commemorative postal stamp in his honor on September 5, 2006.